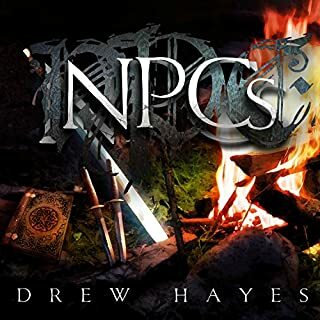 Liked the story, a different take using d&d. Narrator good, his scream impression does need improvement, luckily only a few screams were needed, lol. 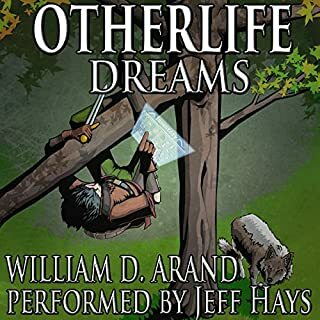 Different from most other litrpg books, very entertaining and Jeff Hays is excellent narrating it. 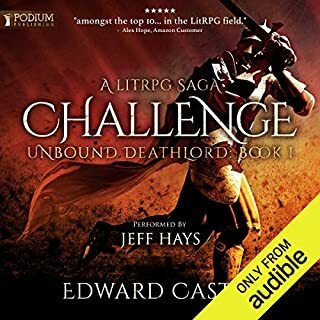 I'll be sure to listen to book 2 if/when it comes out. Volume reduction for dialog and 1st person parts was a bit different, but not a big deal. I liked the story and the surprise end. 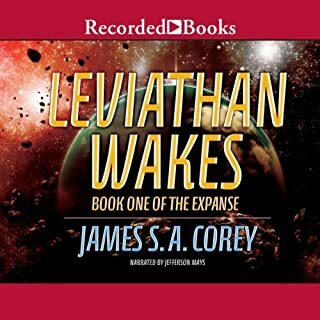 Will listen to more if available on Audible. 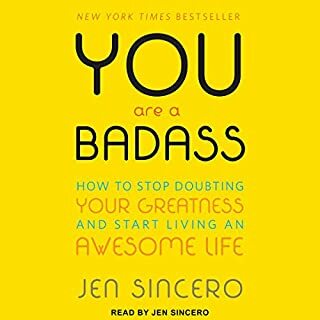 Lots of good advice and funny descriptions, easy listen. I would recommend this to anyone. This was a great story. Well written! I liked how the perspective was handled once I noticed it. 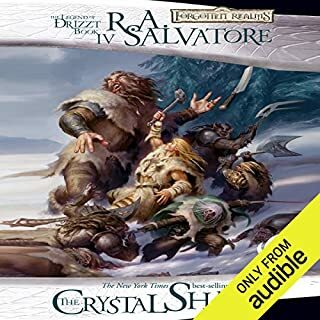 Really got into the characters, wasn't so many that you couldn't keep track of them, which is huge when listening vs reading. Can't wait to hear the next, and next... Narrator was perfect. 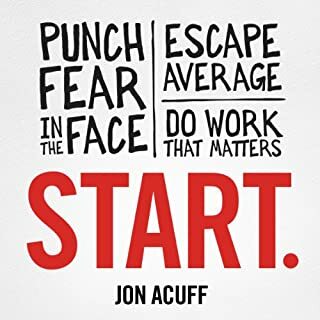 If you are into the idea of taking care of yourself and your family first, if you are a conservative, you like fox news, and generally agree that the democrats have it wrong, you will like this series a lot. If you believe Democrat philosophy includes (1) trying to take "care" of everyone on earth (not possible), (2) favor unreaonable environment protection and fringe group rights over jobs and majority rights, (3) implement social programs regardless of whether they work and whether those they "help" generally deserve it, (3) dems' social programs often keep lower class citizens dependent on govt and usually reduce their incentive to better themselves, and (4) tend to garner popular vote majorities through social programs regardless of whether we can afford it, then ... you will like this series. I liked the down to earth description of the action. Somewhat simplisitc writing style, but when I'm driving and listening, I like that because its easy to stay up on what is happening and I'm not into long boring descriptions of scene, constant switching of context and dangling cliffhangers (the unexpected shot rang out in the battle...suddenly the scene switches to some boring crap about some other story thread -- it never happens here). All but the last book were excellent, but yes, expensive to listen to them all. The last book in the series was not my favorite, for sure. It was a total switch from timeline story telling to a long speech ceremony honoring the heroes. It was interesting for a bit but grew tiresome. This series is for conservatives and plain reasonable people that work for a living, are not looking for handouts, do give to charities, but also hate most social programs beause they are not effective and too expensive. It's for people that love their country (as dems do to I think) but also believe we are going in the wrong direction. LIberals will of course hate it. It characterizes almost all of them as greedy, lazy, naive, and on the govt dole. I will say the dem/repub pigeon holing was a bit too black and white. Not all Democrats are as unreasonable as this series casts them, and there are conservatives that ARE too extreme as well. But it did serve to clearly illustrate the different philosophies of left vs. right politics, how dem policies could truly lead to a disaster, and graphically exposes how each side can be unreasonalbe in their judjements of the the other. Summary: narration great, story great, overall good - splitting the series into so many parts was uh, perhaps greedy? After an hour of listening, I found myself copying the narrator's HEAVILY enunciated words in a half mocking, half joking tone. But then the chance to make fun came on more and more frequently, and the joking tone left... I couldn't focus on the story, instead I kept hoping he would stop. If anything though, it is getting worse. When I looked and saw I still had 9 plus hours to go, I briefly thought I would not be able to finish it. That's just me though, you be the judge, narrators are a taste thing, I believe, not a firm "good" or "bad" reality for everyone. I think the story is interesting so far, I like the characters and it is drawing me in. But the narration is tough. I'm going to ignore the way the words are v-er-eee care-full-eee s-p-o-k-en, and listen to the story line instead. John Rain has disappeared to Brazil to escape the killing business and the enemies encircling him in Japan. But the CIA isn't willing to lose its premier "natural causes" contract killer, and they force Rain to take on a high-risk assignment: eliminate a ruthless arms dealer operating in Southeast Asia. The upside? Financial, of course, along with the ongoing chimera of moral redemption. But first, Rain will have to survive the downside: a second assassin zeroing in on the target; the target's consort, an alluring and dangerous woman with an agenda of her own. 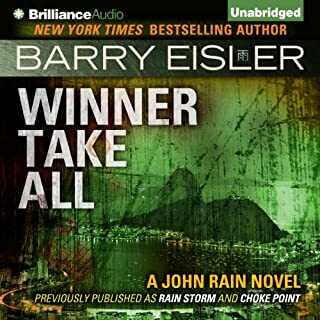 Barry Eisler does a good job narrating his own books, I prefer his versions over the others. Rain is a fun hero character, and the stories are always exciting. It's easy to get tired of a series if you keep listening to the same one book after book, so I take breaks and go elsewhere, then return. 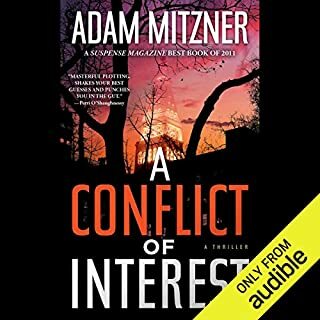 This series is as entertaining as Mike Connelly, Vince Flynn or Brad Thor material, great authors but I can also tire of them. It's like anything else I guess. This idea targets a review that said Eisler's series was same old, same old. They all are after a while. Anyway, glad I found John Rain! If you like thrillers, give this a whirl, you won't be disappointed!